MEASUREMENTS: 3-1/4" H x 3-1/4" Diameter (8 x 8 cm). Holds: 10 oz. 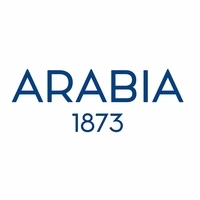 (30 cl). 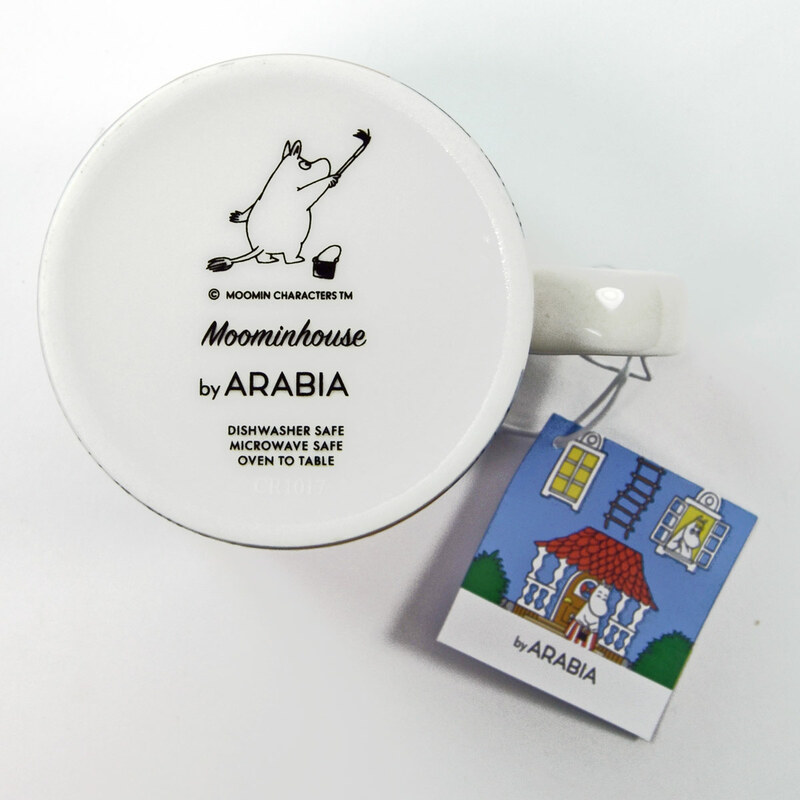 More about Arabia Moominhouse Special Edition Anniversary Mug The beloved Arabia Moomin mugs are back! Celebrate by adding to your own assortment, or gift one to a friend and inspire them to start their own cherished collection. 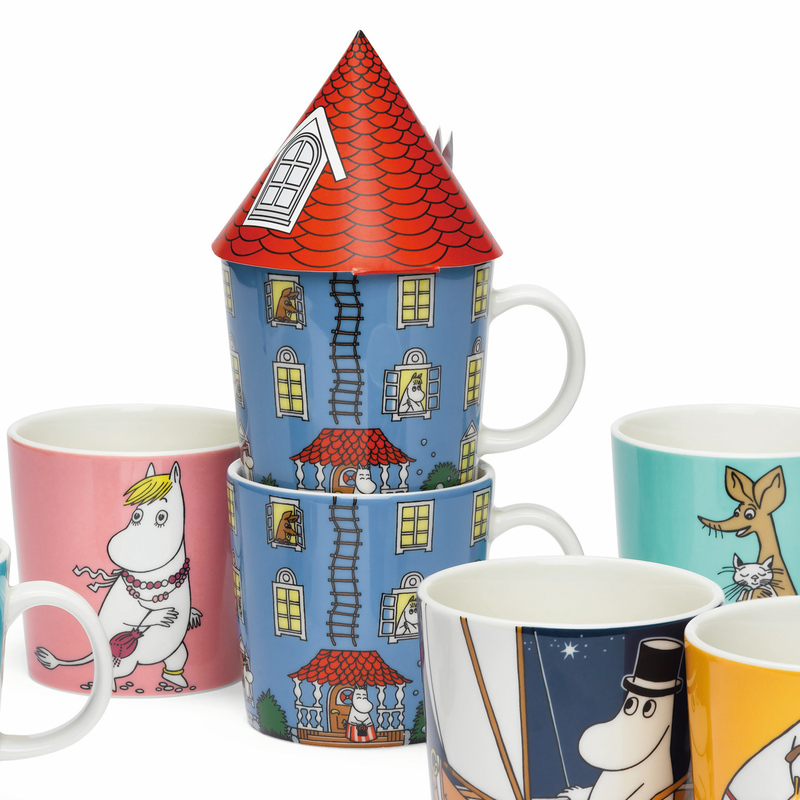 Tove Jansson created the Moomins in 1945, and they have been capturing hearts ever since. 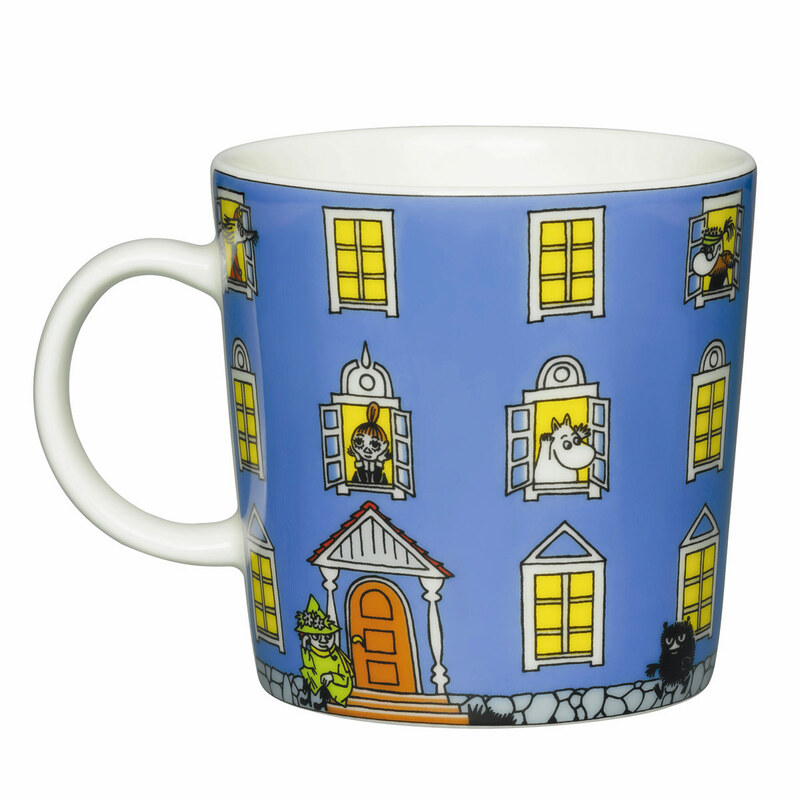 Tove Slotte then had the idea for the Moomin house mug in 2005, as a way to commemorate the 70th anniversary of the Moomins a decade later. 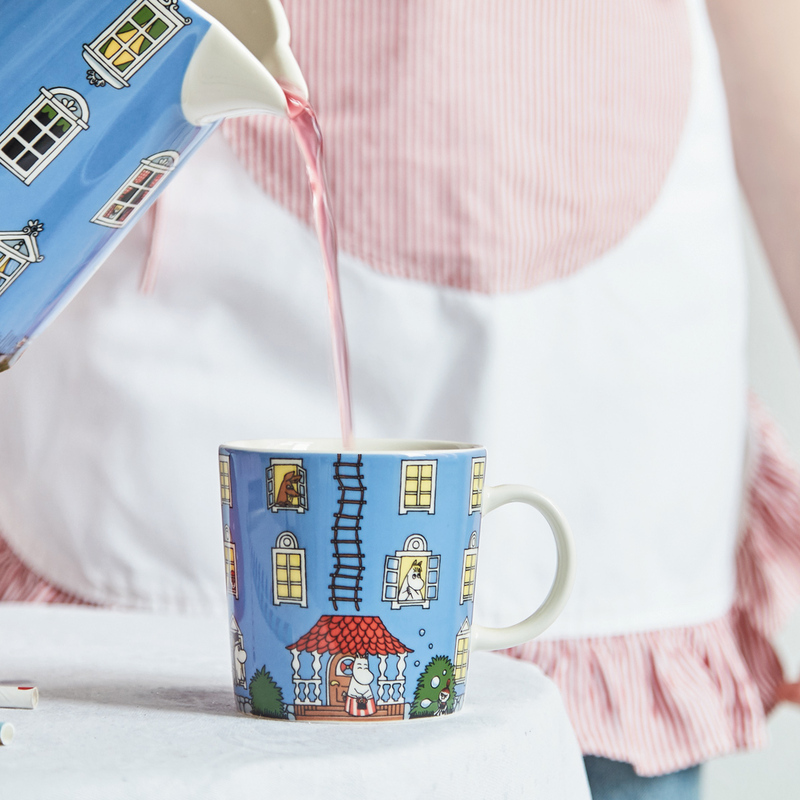 She even added a paper roof as part of her original sketch, which is still included with every Moomin House mug; while purely decorative, the novelty roof makes it a fun gift and looks lovely displayed on a shelf. They can even be stacked to create a taller Moomin house! This one reads: "Moominpappa is very proud of the Moomin house, because he built it himself. Guests are always welcome and the doors are always open, even at night-time. 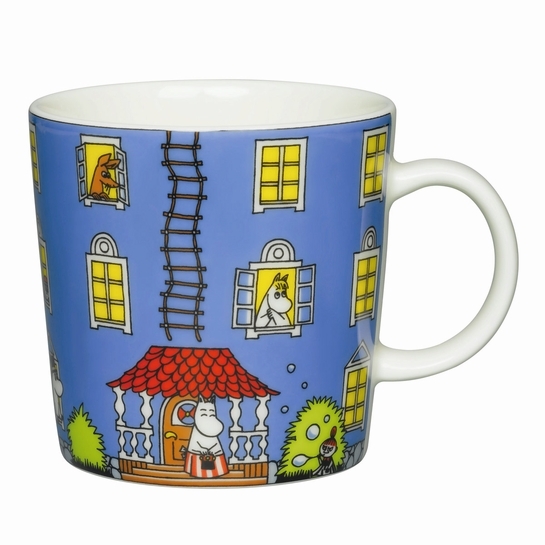 Moominpappa, Moominmamma, and Moomintroll live in the house and are its permanent residents. Others come and go as they please." MATERIAL: Microwave, oven, freezer, and dishwasher safe porcelain. 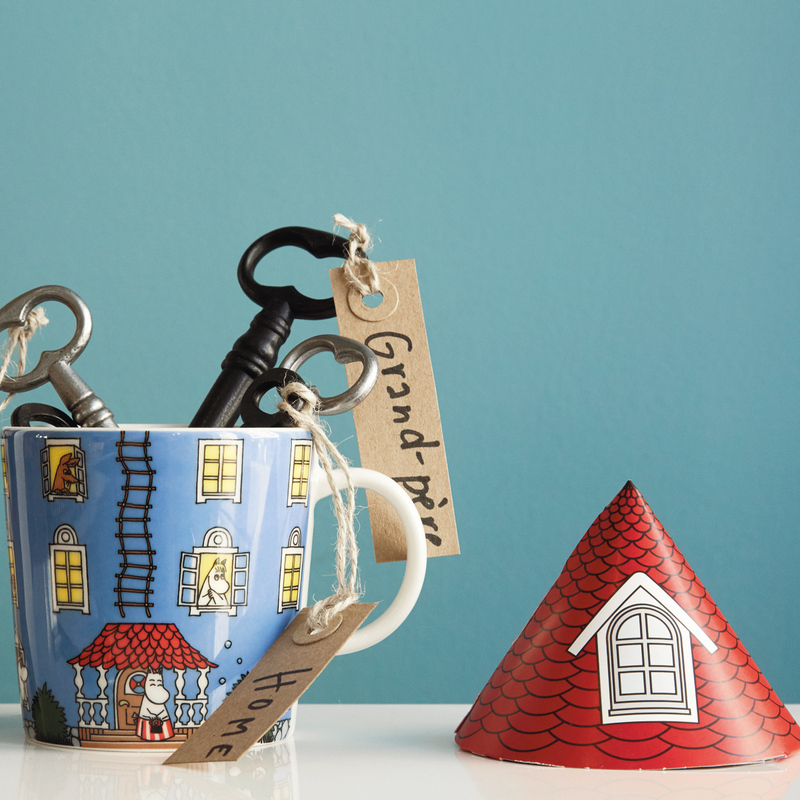 Price is for one mug (paper roof included). I was in Finland two years ago and went to Muumitalo! Enjoy reliving my adventure.